This is a course of 6 weekly SwingTrain classes, the next 6 week course starts 30th April 2019. Drop in price is £10 per class but you can save 20% (the equivalent of one free class!) by booking the full course! Click ‘Book Online’ to register through the Bishopsgate Institute’s website. 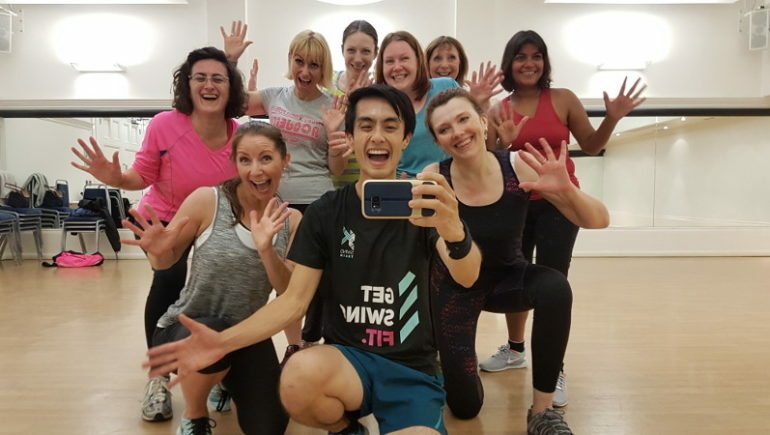 Get a cheeky 50 minute workout during your lunch break at Bishopsgate Institute on Tuesday. We have male/female changing rooms, shower facilities, water fountains, semi-sprung floors, mirrors, air conditioning and a whole bunch of smiling individuals all ready to work up a sweat!